Many critics have been quite harsh in their reviews of Life. It’s the story of how photographer Dennis Stock, was assigned by Life magazine to photograph the 23-year-old James Dean. 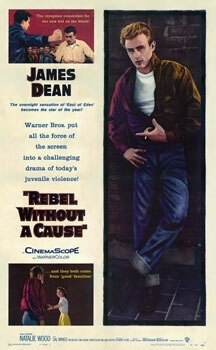 It’s set in 1954 in the time frame between Dean starring as Cal in East of Eden and Jim Stark in Rebel Without a Cause. Stock met Dean at a party before East of Eden was released and saw something in him immediately. Stock’s photos of James Dean have become iconic. Most people are familiar with the picture he took of Dean in Times Square walking in the rain, smoking a cigarette.Partly that’s because they are great pictures and partly as so few pictures of Dean are around: he died so shortly after becoming a film star – just weeks before the release of Rebel. It’s a natural subject for the director, Dutch-born Anton Corbijn, who began his career as a music photographer. His eye is as good as you would expect and the film is visual candy. The film flows languidly from shot to shot telling us the story of how, when and why the pictures were taken. Along the way we find out a lot about Dean and Stock. The portrayal of Stock by Pattinson is subtle and well crafted. Stock once said of Dean: “I liked him sometimes, but not all the time.” Pattinson portrays that well. Because this portrayal is so well done I did become more interested in Stock than Dean. That’s not to say that the depiction of Dean by Dane DeHaan isn’t intriguing and perhaps generally underrated. It is. It’s just that the balance tends more toward Stock, at least for me. Some critics who felt the same have found this odd and out of kilter with what they expected, complaining that the film is meant to be about Dean. But is it? Or is it actually about how fame is constructed, the part both central characters play in that process and what effect it has on them?